Aamir khan’s Dangal is making waves world over and carries both the tags, critical acclaim and commercial success along with it. The film is well received by one and all and the collections are huge. 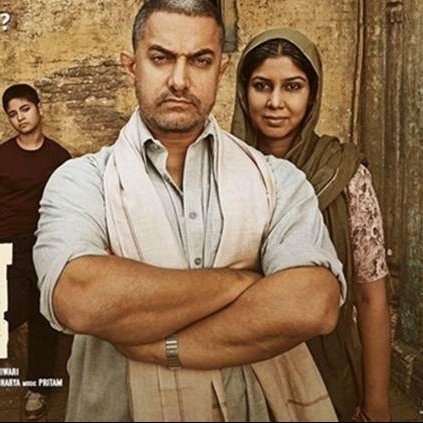 On it’s first day, Dangal collected about 25 crores but through word of mouth, it managed an astonishing 25.48 crores on Monday, it’s fourth day. For a film to collect equally high numbers on a normal weekday as it did on it’s opening day is an amazing fact to note! So far, the overall collections of Dangal in India amount to 132.43 crores which makes it head on with the lifetime collections of blockbusters like Dabangg, Singham Returns and M.S.Dhoni - The Untold Story. It looks like the Nitesh Tiwari directorial, Dangal will emerge as an all time blockbuster with unanimously high numbers as it’s box office. Good news for Vikram and Gautham fans! A comeback after 9 years! People looking for online information on Aamir Khan will find this news story useful.